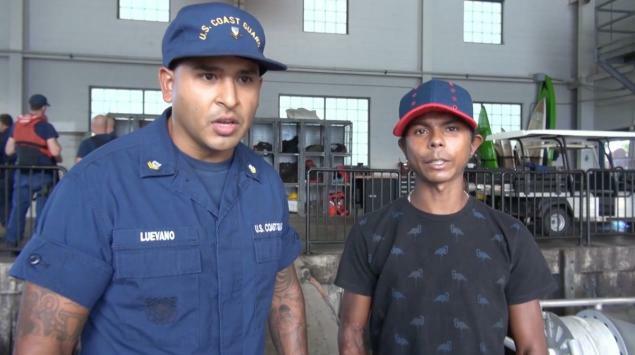 A Colombian sailor was rescued into the Pacific Ocean at 3,500 miles from the coast. He set sail in March with three friends and things turned out to be terrible when the boat’s engine broke down, leaving them far away from the coast and without any chance to get back. John MacKinnon, Lt. Commander affirmed this sailor was very lucky, because he was lost in a not very trafficked point of the Ocean. Indeed, the Pacific is extended and it is not easy to find people lost there. The mariner managed to stay alive eating seagulls and fish, but unfortunately, his three friends were not able to survive. He landed in Honolulu on Wednesday, thanks to the crew of Nikkei Verde, a merchant ship, that rescued him and it was said he was in “good conditions”. The 29-year-old survivor affirmed he was glad to be safe, but he could feel even better if his friends were alive like him.